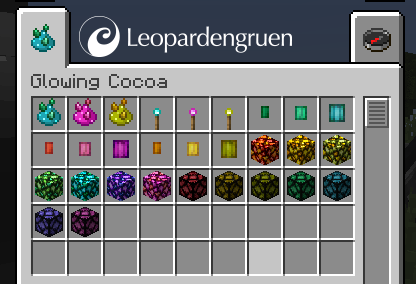 This small mod adds a new kind of cocoa to the jungle. It lights up the night! Harvested by scissors you will get lots of decorative lanterns. Or harvest them by hand and get a new kind of Glowstone Dust. You can craft it into Glowstone or RedstoneLamps in new colors or smelt it into normal Glowstone Dust. 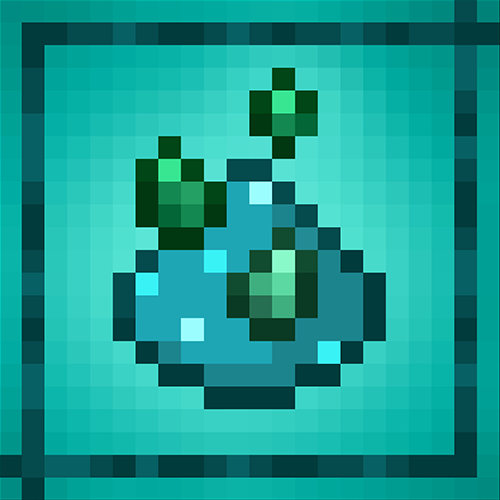 Now you are able to farm Glowstone Dust! When you harvest them by hand you'll get GlowingCocoa Dust. It can be crafted like normal Glowstone Dust. In the oven you can dry out every lantern into GlowingCocoa Dust. It is even possible to dry the GlowingCocoa Dust into Minecraft Glowstone Dust. Or use the Cocoa Dust to plant new cocoas on jungle wood and see them grow. (Use bonemeal if you can't wait) The endless search for Glowstone in the Nether is over! New in version 1.1: Now you get Glowstone and RedstoneLamps in seven different colors! Glowing Torches are added too! Do the glowing cocoa spawn in the Jungle sub-biomes? JungleHills, JungleEdge, etc? All of them have the same "glow color" (the orange/yellow from vanilla) or i'm doing something wrong? 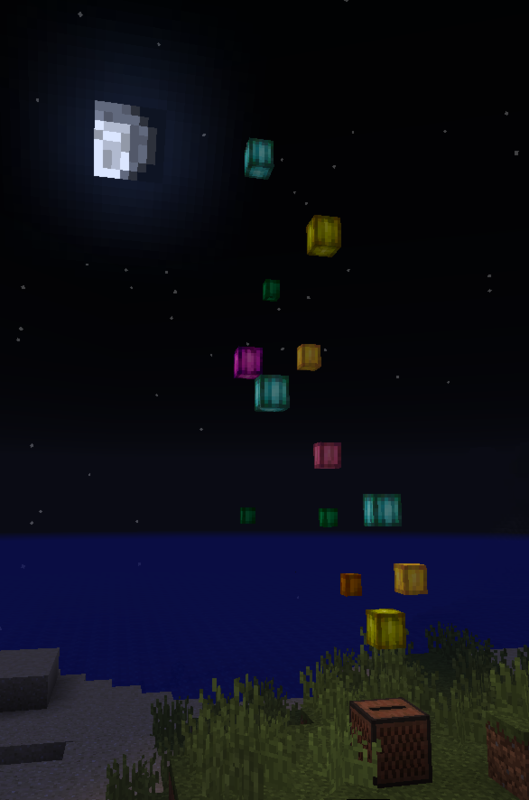 In the moment (v 1.1) all glowing blocks emit the same (default minecraft) light color. It's planned in a future release to have different light from each block. There are no config file ? It is not planned to generate colored glowstone naturally in the nether. In my opinion the colors won't match the environment. Thank you for all of your great comments. In the next update I‘ll add four new colors of glowstone and redstone lamps. Coming soon! Question: would you like to have colored glowstone torches? This looks really nice! More lighting options are so necessary.